Virtual reality and augmented reality are great ways to transform the digital world into reality. They both give the user a scene that looks as close to the real-world environment as possible. 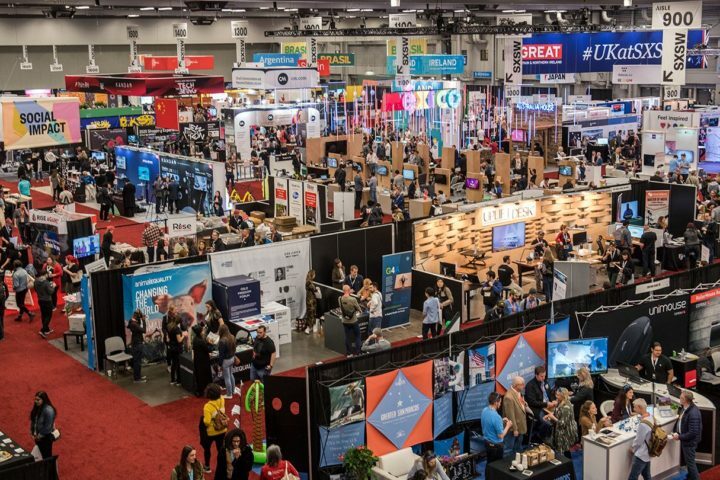 Even though their popularity is growing very fast, a lot of business owners have not embraced their use in trade shows. It is, therefore, a great way for you to stand out from the crowd. People will always be excited to interact with new technologies. The following are a few ways to use virtual and augmented reality in your trade show. Giving your customers a chance to visualize the use of certain products increases their chances of making a purchase. If, for example, your products are for use in the office, you can use virtual reality that mimics the setting of their office. This makes it easier for them to realize the functionality of the product. Imagining what it would be like to own the product raises their curiosity and encourages them to make a purchase. If you are introducing a new product to the market, a lot of people who do not know how to use it may shy way. With virtual reality, you get to demonstrate the use of these products. You may also give your prospective clients a chance to try using the equipment in a virtual setting. It gives them a feel of how it would work in reality. Does your exhibition require you to perform some hands-on training? If so, virtual reality may come in handy. If you are exhibiting complex machinery you can use virtual reality to train your potential clients on its use. This way, your visitors leave the show with all the information they need about your product. The knowledge may motivate them to make a purchase. It helps them to develop trust and confidence in your product. One of the challenges that most businesses face when making exhibitions is prohibitive and costly transportation. It is even worse when you deal with heavy products. Virtual reality and augmented reality provides a perfect solution to this problem. You do not have to bring all your business products to the show. You can upload them instead. Your visitors get to see them as if they are there. This is a reliable way to save on space and money. People will always be excited to see something new. Using virtual reality can help drive traffic to your booth. Take advantage of this and tie a game to your product for better results. Virtual reality games are the perfect magnet to pull your crowd in. if your business deals with sporting gear or equipment consider adding a fun virtual reality experience to play the games or try out the products. Are you looking for a reliable partner to help you with your trade show displays? ExpoMarketing may be a great choice. The company delivers excellent services at affordable costs. All their services are detailed and personalized to help you get the best results for your brand. ExpoMarketing was established in 1991 so it has plenty of experience. Their customer services are excellent and they help you through every stage. The company helps you decide whether to purchase or rent a trade show exhibit based on your business needs.